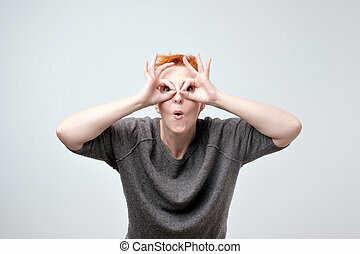 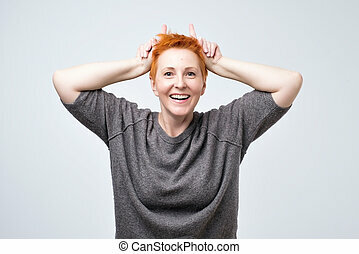 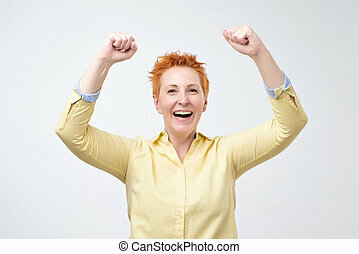 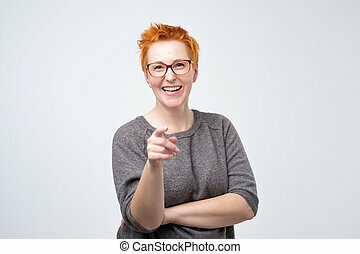 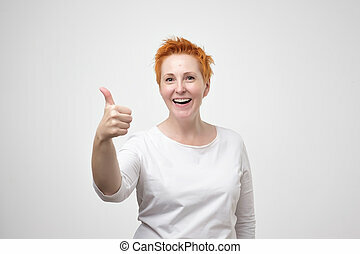 Happy mature woman with red hair pointing fingers at herself. 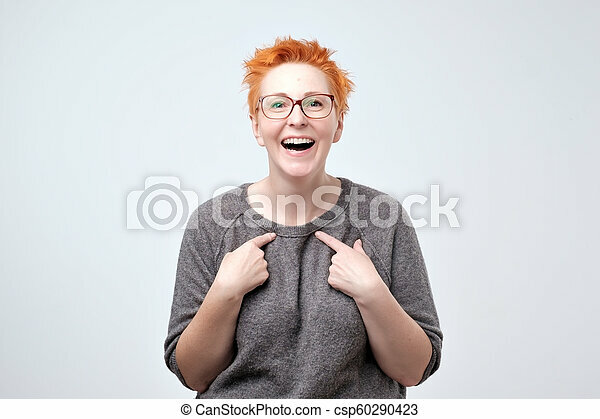 select me please concept. 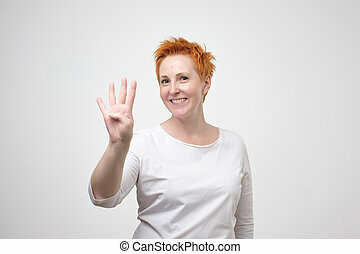 she can not believe in her luck. 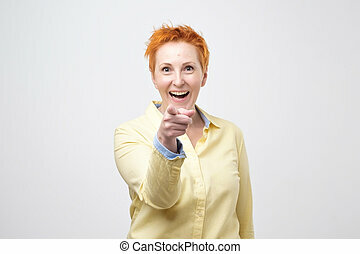 Shocking news concept. 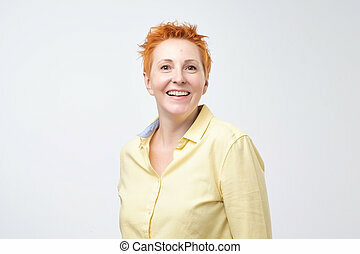 Surprised mature woman with red short hair covering mouth with hand and staring at camera while standing against grey background. 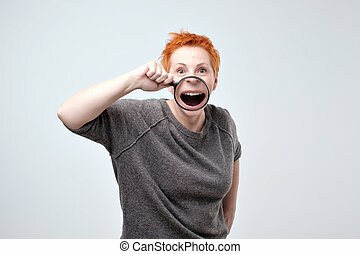 She can not believe the gossip she hear.